Early-season leaders Ashover were far too strong for Selston Town in Division Four North of the Derbyshire County League on Saturday. All that Selston won was the toss, and even that was tinged with regret because when they asked the home side to bat first, they had to watch them accumulate a respectable total of 217-7 in their allotted 46 overs. 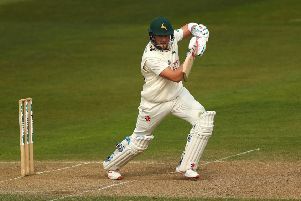 In reply, the visitors’ batting was not up to scratch and they slumped to 148 all out inside 35 overs, leaving them eighth in the 11-team table after just one outright victory from their opening eight fixtures.